For the Ligna 2017 IMAX Pro stall, we created an entire log transformation looking like a high voltage pound. 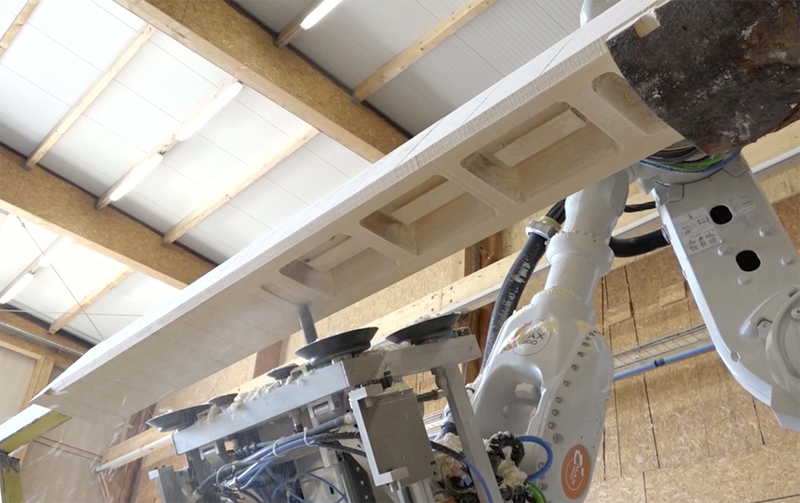 The Scidus team, our sawmill based in Etalle selected and shipped an Oak Log. Labelled “Bois Local” in Belgium. 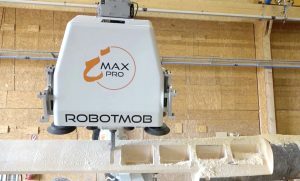 The design was created by the research and development team before being passed on to the Robotmob team. 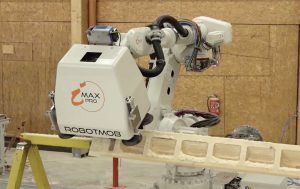 Computer assisted development, robot trajectories and finally… log production with center referencing and mill all around the wood. Almost unlimited solutions with the Robotmob. 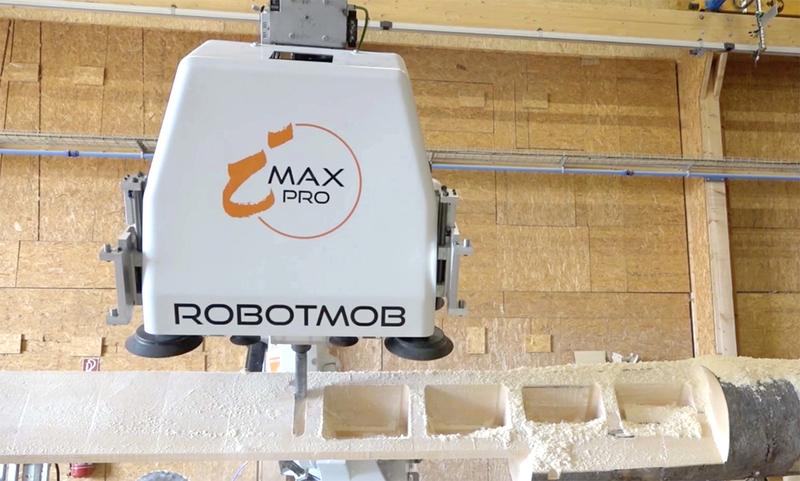 Thanks to it’s track, Robotmob moves laterally and access easily to the log. Then after clicking “Start” button, Robotmob works all by itself with no workman required. Wood working all around the log finally possible: With one moving Robotmob. Wood being “Local”, the development team and the production halls are based in Harzé (in the Liege region), this original production is 100% local. 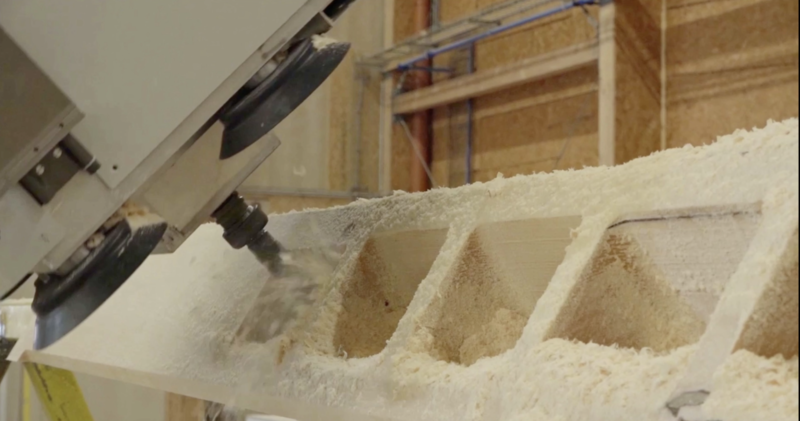 We also developed the various tools that were used to machine this log. But also the curved double hull that adorned our booth at this show! To discover soon ..